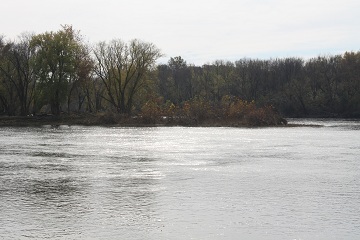 A large island south of the U.S. 15 bridge over the Potomac, Heaters Island has had a long and interesting history. The island was settled as early as the 17th century, when the Conoyt Indians, part of the Piscataway tribe, came here from Southern Maryland. Native Americans frequently built V-shaped, rock fishing weirs in the river. Several are still visible during low water periods. In the 18th century, the island was acquired by the Nelson family, descendants of a well-known Swedish family. The island is now forested and inhabited only by wildlife.